Turkey is one of the most ideal places for holiday thanks to its climate and geographical position. Turkey is a peninsula surrounded by seas and there are a lot of nice holiday destinations especially in the Aegean and Mediterranean region. Therefore, the Western coasts of Turkey are highly popular destinations among tourists in the summer months. Of course, Turkish tourists are not the only ones flooding the beaches in the Aegean and Mediterranean region. Especially, people residing in countries like Holland, Sweden, and Norway long for the sea and nice beaches. Therefore, they choose Turkey for their holiday. The strong position of the currencies these visitors use in their native countries compared to Turkish lira is also a deciding factor in choosing Turkey. As destinations like Spain, Italy, France, and Greece use Euro as their currency, the same holiday can be a lot cheaper in Turkey. So, what are the best cities to enjoy the sea, sun, and sand in Turkey? 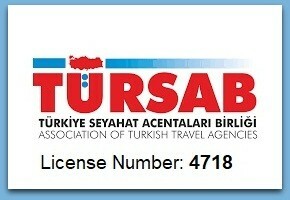 Where to go for a holiday in Turkey? I will try to help you answer this question. Here is a list of Best Holiday Destinations in Turkey. Let’s get started. There are enough options for holiday in the summer in Turkey. It’s not easy to answer where to go for your holiday in summer as every region has something special to offer. 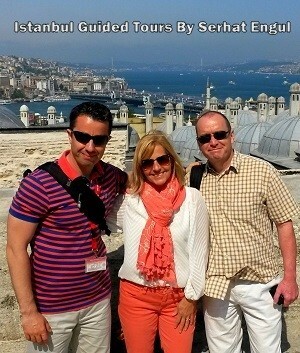 As you see, there are many holiday destinations in Turkey to choose from. In this post, I will focus especially on the Aegean and Mediterranean region. 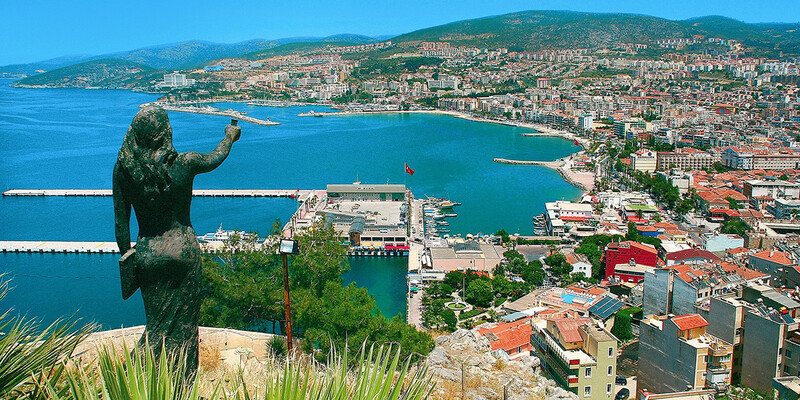 Izmir stands out with the city’s natural beauty and the warmth of its people. Additionally, it’s close to various holiday resorts. There are many such resorts as you can see below. Cesme is the most well known and popular holiday resort in Izmir thanks to its clear and shallow sea and vibrant nights. Below are the places that are definitely worth seeing in Cesme. Ilica Beach: It’s one of the most famous beaches in Cesme. The sea is clear and shallow here and it’s a blue flag beach. Moreover, it is thermal water. Therefore, it’s a highly popular place among tourists. Aya Yorgi Bay: The sea is calm at Aya Yorgi and there is no wind here. There are a lot of beaches here to swim such as Kafe Pi Beach, Sole & Mare Beach, Babylon Aya Yorgi, Paparazzi Beach and Tren Aya Yorgi Beach Club. 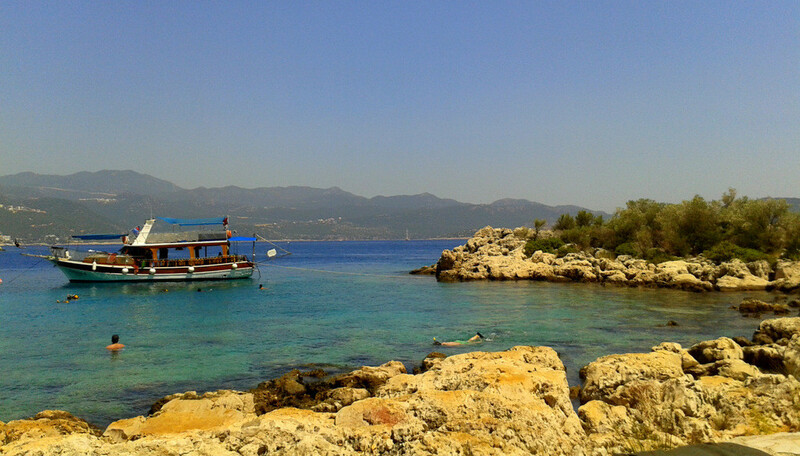 Agathonisi: It’s an island that is one hour away from Cesme via the sea. It’s called Esek Adasi (translated as Donkey Island into English) due to the fact that donkey population increased in time and these donkeys were left on this island. The sea here is clear and it’s suitable for water sports too. Dalyan: It’s both in nature and it offers a calm and peaceful holiday. Its sea is clear and it boasts an amazing beach. Dalyan is one of the best destinations to swim in the sea. Ciftlikkoy: Ciftlikkoy is known as “the Maldives of Turkey” thanks to its famous beaches such as Altinkum and Pirlanta. Its golden beaches and clear sea are flooded with tourists. Cesme Castle: It stands out with its architecture and history. Cesme Museum: The historical richness of the region is reflected in this museum. 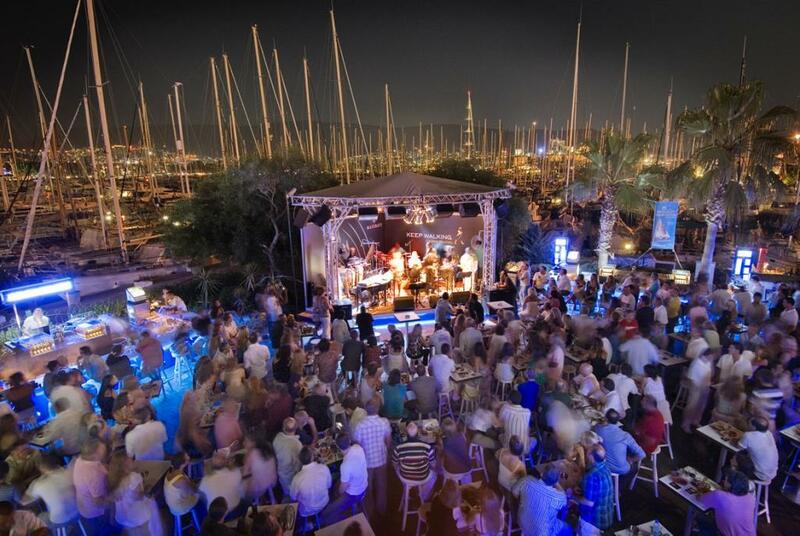 Cesme is one of the best places to go for holiday in Turkey. 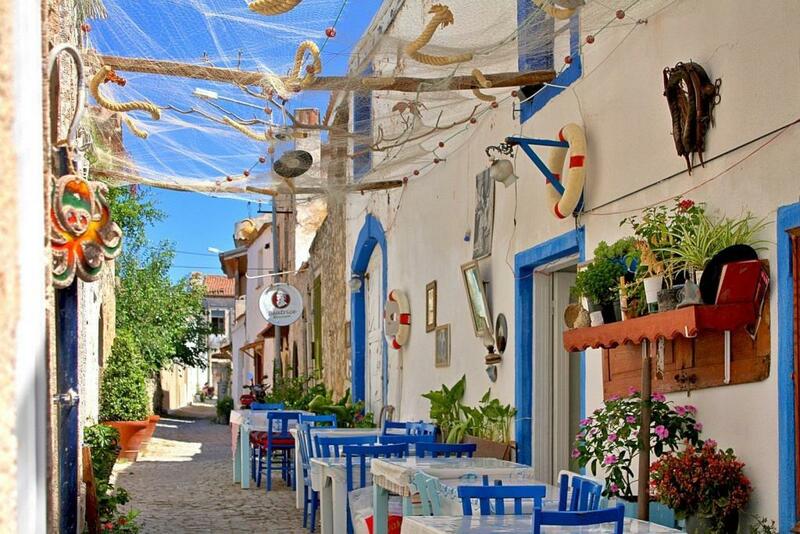 Alacati is one of the most beautiful districts in Izmir. In recent years, it has become one of the most popular destinations in Turkey. Some of the places worth visiting in Alacati are below. Houses in Alacati: The houses in Alacati are the center of attention with their colorful windows, doors, and streets filled with flowers. It’s especially popular among photography lovers. Cark Beach: It’s the favorite place of surf lovers. There are schools for windsurfing at this beach too. You can reach Cark Beach from Alacati by a minibus. Windmills: These windmills were built in the center in the 1800s. Alacati Bazaar: This bazaar is set on every Saturday where you can find everything, be it organic vegetables, fruits or hand-made ornaments. Foca (Focha) is divided into two as New Foca and Old Foca. Old Foca is preferred because of its fisher boats by the coast, seaside restaurants as well as adorable and quiet atmosphere that the entertainment areas create. On the other hand, New Foca offers more options in terms of beach, nightlife and accommodation options. It is a good choice if you wish to have a lively holiday. Antalya is one of the most popular holiday destinations in Turkey and it has an important place in Turkey’s tourism. Below are the places that must be visited in Antalya. Kas is the best town in Antalya. Despite the chaotic atmosphere in the region, it still remains untouched. Thanks to its amazing beaches and modest boutique hotels, it is far from noise. Therefore, it offers a really peaceful atmosphere. As it’s in a protected area, you can’t find the huge holiday resorts you can see in Antalya. However, boutique hotels are magnificent in Kas. It’s where the history and the sea meet and it’s also ideal for camping. You can also stay at one of the wooden houses here. If you like sports, you can enjoy trekking, diving, rock climbing, and canoe in Olympos. You can also parachute from Tahtali Mountain. Kemer is rich in terms of beaches. 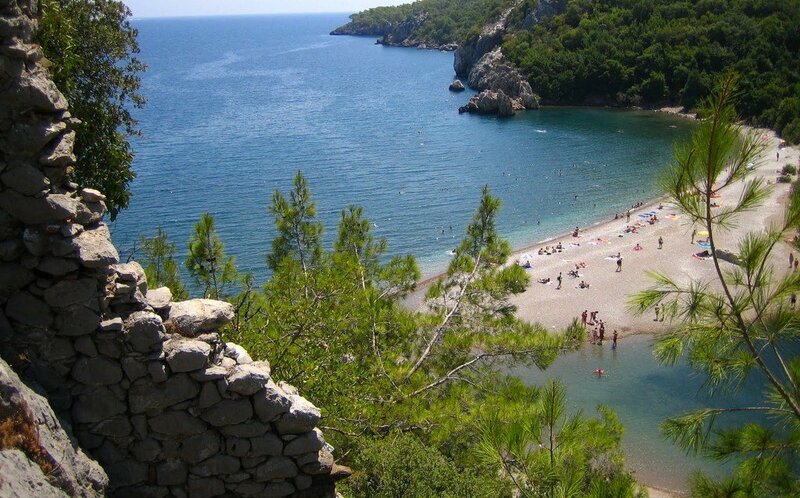 Some of the beaches in Kemer are Ayisigi, Goynuk, Adrasan, Cirali. These beaches are surrounded by pine trees and the white sand on this beaches are equally amazing. Therefore, they are world-famous beaches. Apart from the beaches in Kemer, you should also visit Tahtali Mountain, Yanartas, Beldibi Cave, Goynuk Canyon, and Ucoluk Plateau. 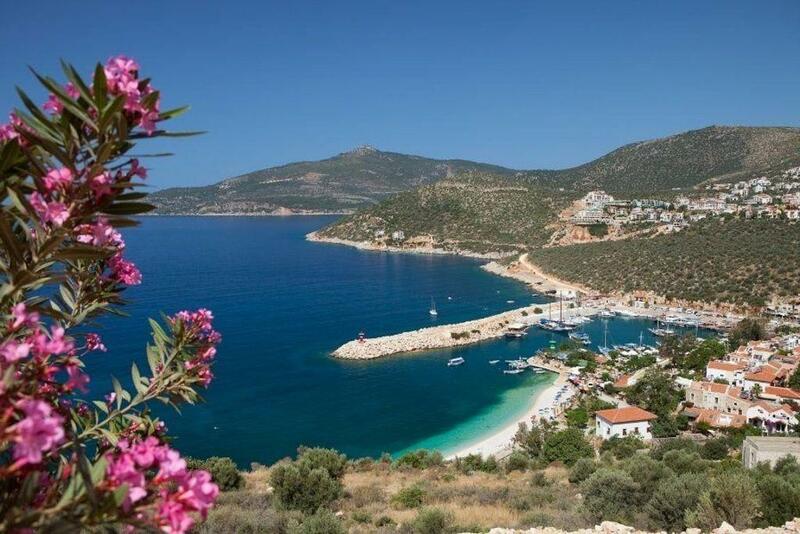 Kalkan is famous for its beaches. The 16-km long Patara Beach in Kalkan is one of the longest beaches in the world. 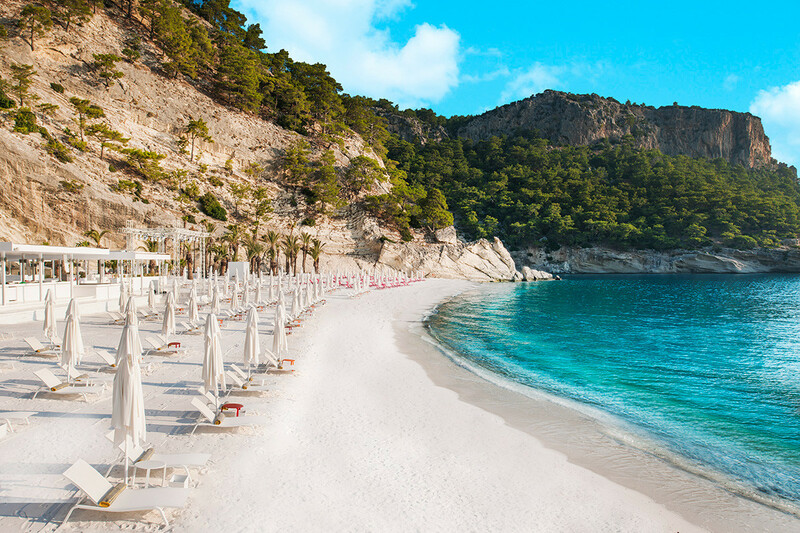 Kaputaj Beach is another great beach in Kalkan. Additionally, you can swim in its blue flag beaches via daily boat tour. Moreover, the view Kalkan offers is undisputable too. Mugla is famous for its resorts and it has an important place in terms of tourism. It is regarded as one of the best holiday destinations in Turkey. 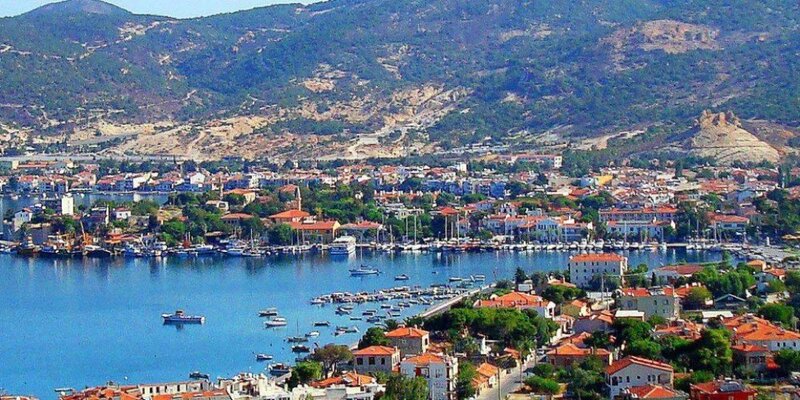 Below are the holiday destinations that are definitely worth seeing in Mugla. Bodrum boasts more than 60 blue flag beaches. The best places to swim are Kargacik Bay, Bitez Beach, Karaincir Beach, Akyarlar, Peksimet, and Gumusluk in Bodrum. Apart from its beaches, Bodrum Castle, Gumusluk, Golturbuklu, Bodrum Marina, Bodrum Ancient Theater are equally worth visiting. It’s one of the first places that comes to mind when it comes to the best places for a holiday in the Aegean and Mediterranean region. Its natural beauty, history and unique sea make it an attractive holiday spot. You can swim in various beautiful bays via a day-long boat tour. Kabak Bay, Butterfly Valley, Dead Sea, and Calis Beach are the places that must be visited. Especially the Dead Sea (Oludeniz) is one of the world’s most beautiful beaches. It’s a fascinating blue flag beach with its turquoise colored sea. Moreover, you can try paragliding on Babadag too. Oludeniz Beach and nearby town is definitely one of the most photographed places in Turkey. Taking photos of parachutes over the Oludeniz Beach is amazing! Marmaris is surrounded by forests and it draws attention with its clean beaches and historical artifacts. 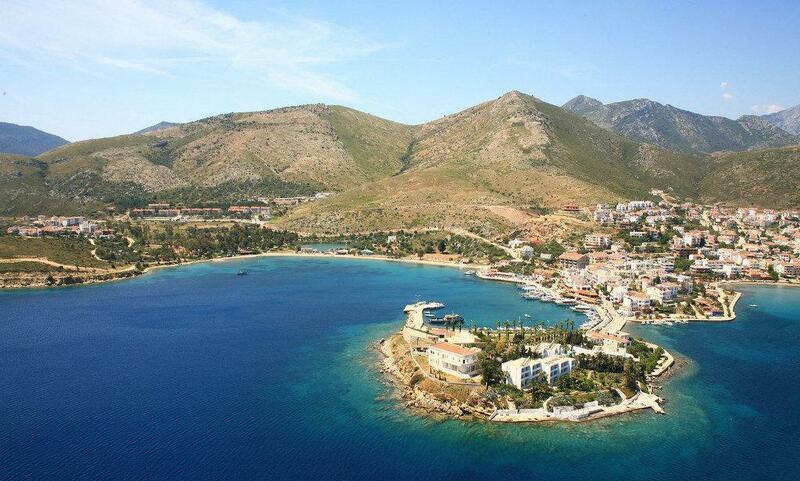 Tourists show great interest in Icmeler, Cleopatra, Cennet Island, Uzunyali, Turunc, Ciftlik Island, and Kizkumu Beach. You can swim at numerous bays via a daily boat tour. Moreover, waterparks in Marmaris are ideal for families with children that want to have a great time. Marmaris Castle, Halici Ahmet Urkay Museum, Selimiye, Hisaronu, Loryma Ancient city are also among the places worth seeing. 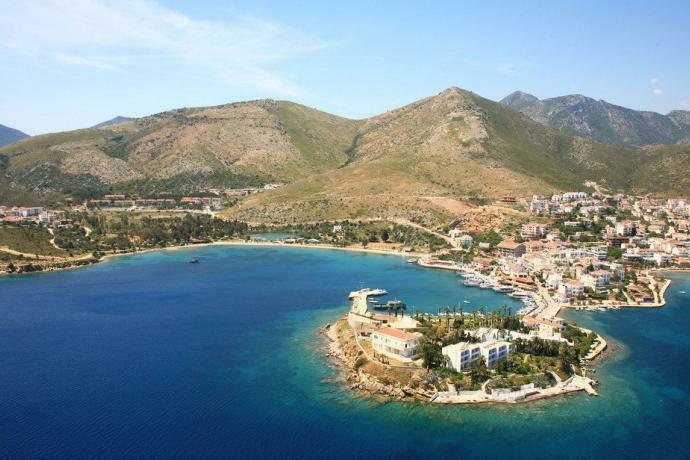 Datca definitely needs to be on this list as it’s at a meeting point of the Aegean and Mediterranean region. There are countless beautiful beaches that you can visit in Datca. The most famous of them are Hayitbuku, Ovabuku, Palamutbuku beaches, Kargi Bay, and Mesudiye Bay. Other places worth visiting are Resadiye, Datca Port, Kizilan Windmills, Kent Park, Knidos Ancient City, and Old Datca. It’s definitely one of the best places to go for holiday in Turkey. If you want both a nice sea and quietness, Assos is the place you are looking for. You can swim at Ancient Port beach, Kadirga Bay, Yesil Port, Koruoba, Sivrice, Sokakagzi, and Babakale Akliman Bay. 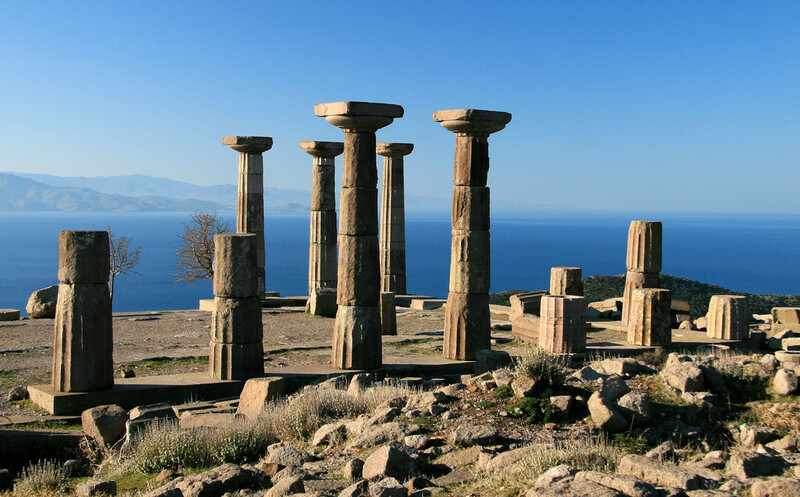 Behramkale, Assos Ancient City, and Temple of Athena are the places worth visiting. If you love camping, you can find camping sites in the area too. Moreover, if you like scuba diving, it’s suitable for it and you can also find a diving school here. Altinoluk is at Edremit district in Balikesir and it draws attention with its history and natural beauty as well as nice sea. Sarikiz Hill, Sahin Deresi Canyon, Antandros Ancient City, Hasan Boguldu Fall, Kaz Mountain, Basdegirmen Bridge, Tahtakuslar Ethnography Museum, and Narli Village are among the places that definitely need to be visited. Furthermore, Balikesir is famous for its olives. Therefore, you can buy some from the villages in Altinoluk. 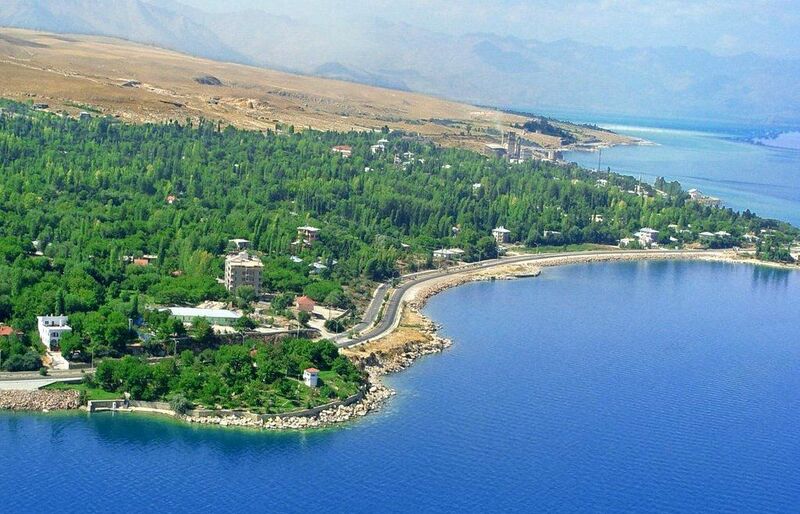 Altinoluk is a popular holiday place in Turkey among local people.